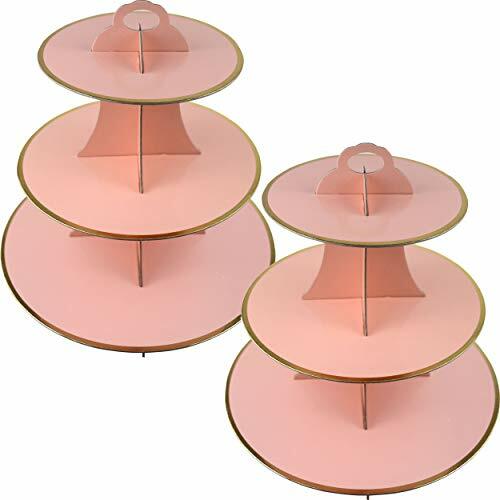 3-Tier Cardboard Cupcake Stand/Tower 2-Pack (Pink) Made of High Quality Cardboard. small 7.2 in , medium 9.6 in, large 12 in; 4.6 in between each tier, about 12.75 in tall over all. 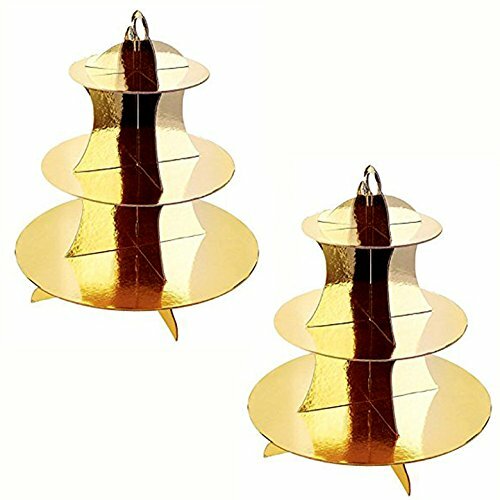 It can be used at all parties such as birthday party, tea party, baby showers, graduations, weddings, Christmas, Thanksgiving and more. Your monitor color may vary from the actual product. 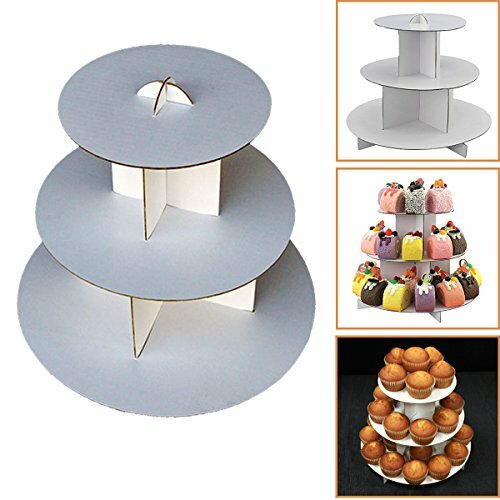 Affordable, sturdy white cardboard cupcake stand that works great to use for cupcakes, treats, figurines or whatever clever idea you may have! 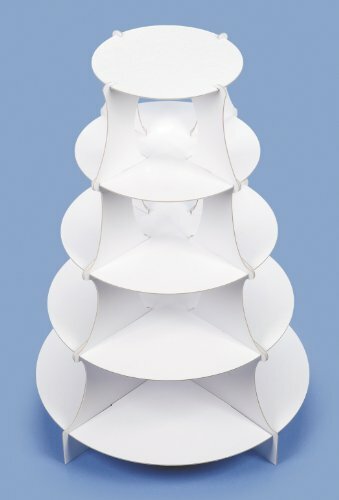 Each stand is made of plain white cardboard to decorate to you heart's desire or use as-is! Dimensions: Stand is 10" tall x 12" wide. Top tier is 7.25". Middle tier is 9.5". Bottom tier is 12". Perfect for parties, weddings, baby showers, birthdays, restaurants, bakeries, and window displays! 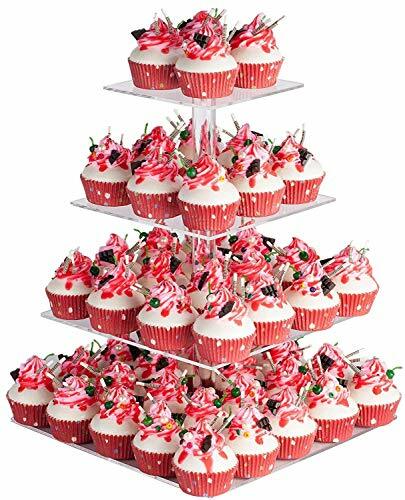 Fits 25-30 regular sized cupcakes! 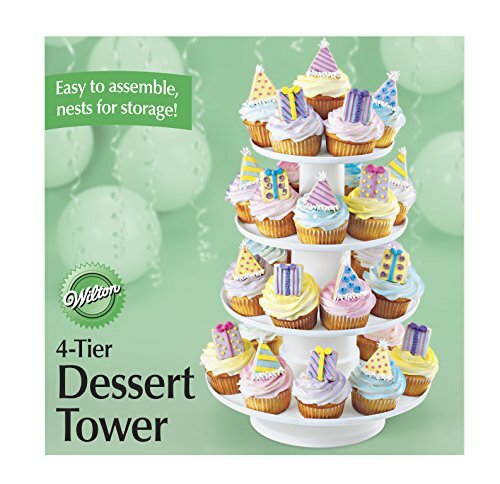 This stacked 4-tier cupcake tower will be a big hit at your next party. 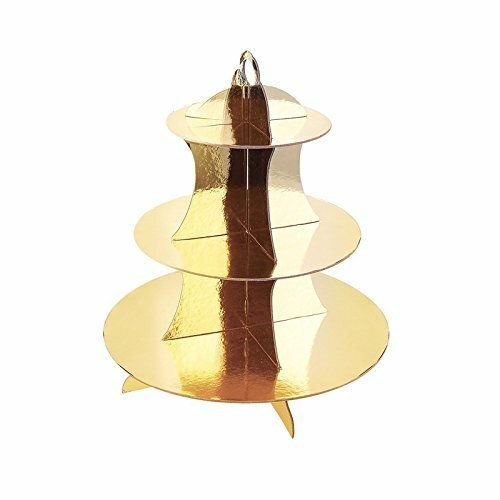 Use this versatile dessert stand to display cupcakes, cookies, candies and fruit or use it for appetizers like cheese and crackers. The rimmed edges keep crumbs and drips from spilling over. 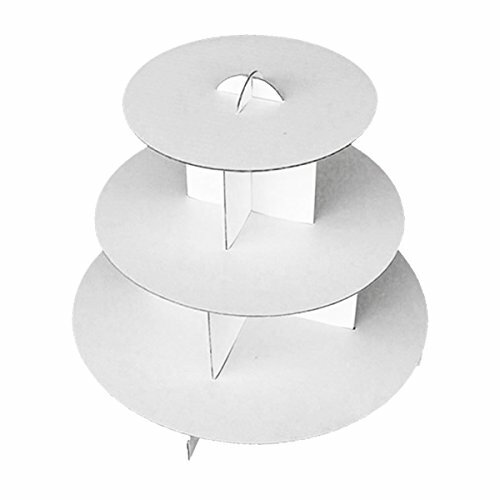 Four stacking sections disassemble easily and nest together for storage. Dessert tower holds 28-36 cupcakes. 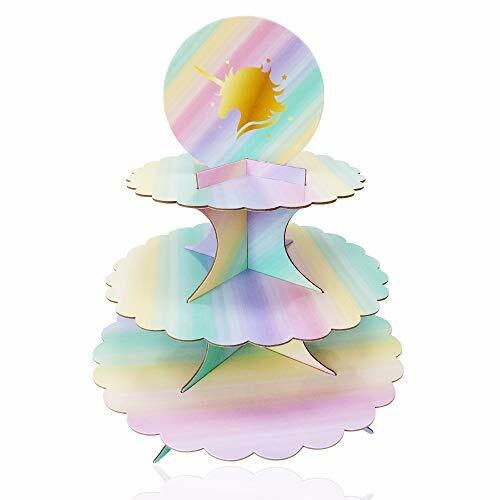 5 Tier Round Paper Dessert Tower or Cupcake Stand - 15" X 20"
This victoria lynn 5-tier dessert tower create an exciting, attractive dessert presentation. 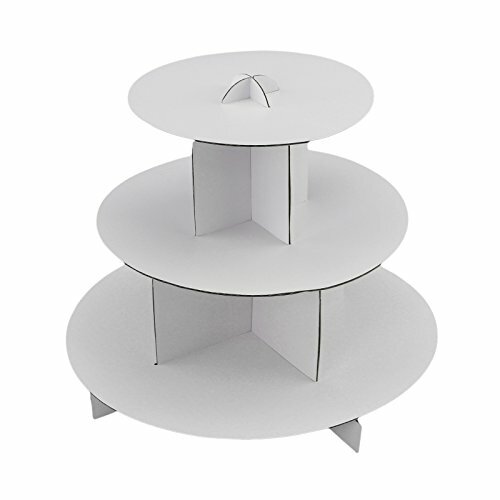 Great for weddings and showers, this off white cardboard tower makes the perfect base for cupcakes, pastries, cookies, fruit displays and more. Each package includes 16 supports and 5 tiers. Tiers measure 7, 9, 11, 13 and 15-inche diameter by 20-inch height. Size: 13" x 11.75"13\" x 11.75\"
Size: 14\" x 12\"14" x 12"